If you&apos;re looking for a piece that will make you stand out among the sea of leather jogging pants, Air Max 90s and bomber jackets, Blue Blue Japan&apos;s latest drop is the one. 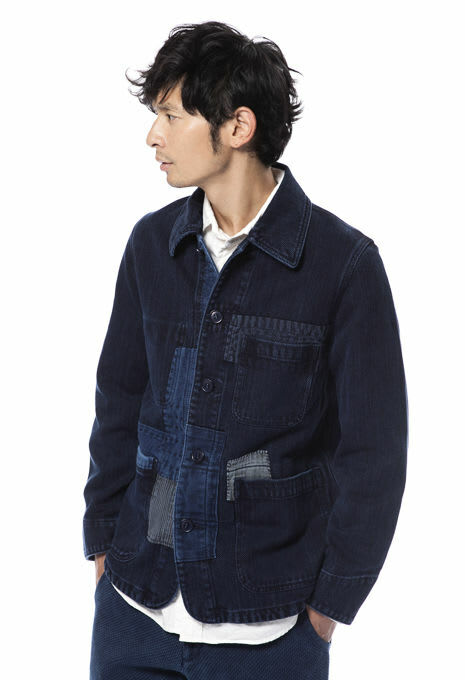 The PureIndigo Sashiko Patch jacket was made, as its name suggests, out of authentic indigo used to dye sashiko quilt fabric - a traditional Japanese embroidered cloth. Blue Blue Japan is a company founded on the concept of marrying history and modernity, and this jacket doesn&apos;t stray from that idea. The sashiko running stitch technique is customarily used to put patches on worn clothing; Blue Blue Japan has taken this look and struck gold with their Saturday release of the Sashiko Patch jacket. Multi-colored patches, deep hues of blue and tiny, meticulous "little stabs," - "sashiko&apos;s" literal translation - make this cotton jacket a fly look from both up close and far range. Cop at the brand&apos;s flagship store Okura, or on their site here.